The pictures below are pretty self-explanatory. 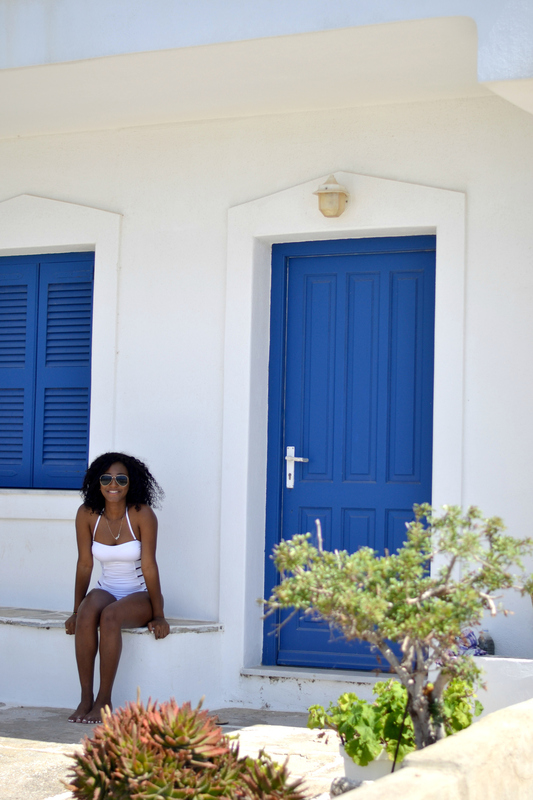 The Greek Islands were everything that I imagined and then some. We were able to rent quads for 20 Euros/day and ride around Paros, which is the small island we were staying at. Exploring by foot was even better, because I got to stop and photograph these perfect blue & white alleys. Its hard to believe that people actually live in this small town because it's just so picture perfect. Island-hopping on a party boat was one of my favorite things we did throughout our entire trip. I felt so at peace cruising(and jumping) in the deep blue & turquoise waters, jammin' good music, eating traditional greek food, and drinking unlimited wine. There were times where I just looked out at the water and felt such sheer appreciation for the moment. Athens, Greece was where we kicked off our month long trip. It's certainly not the beautiful white and blue Cycladic homes that most imagine when they think of Greece, but it's a pretty interesting city. Obviously, visiting Acropolis was the highlight of our stay. It was incredible to set foot on an ancient site that dates all the way back to the 5th century B.C. After hiking to the very top, we were left with a magnificent 360 view of the whole city. My favorite aspect of Athens was the great view atop every building where you're able to sit and have a drink or just look out at the city. Another thing that I enjoyed seeing was the graffiti art on every single building. Many wouldn't consider this art, but I felt that it added character and said alot about the current political state of the city. When we weren't sight seeing we got the chance to wander around Monastiraki, have leather Greek sandals made, visit a fish spa, see a live reggae show in an abandoned building, evade many pick-pocketers and much more. We also had our fair share of kebabs, falafel, dolmades, ouza, and other traditional Greek food. I definitely enjoyed my time there and after only 3 days, I have a feeling that there is much more to Athens than meets the eye.